Well, well, look at you! Another year older, maybe a little wiser, and definitely deserving of a birthday treat. 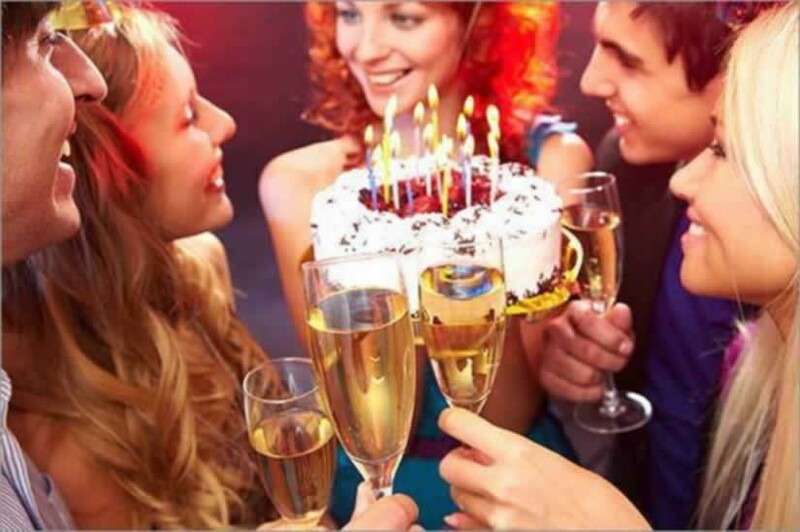 Since it’s now a new year, and a new you, we have scoured the lower mainland for great birthday offers that you will want to take advantage of on your special day. Denny’s offers a free Grand Slam breakfast for the birthday person with presentation of valid ID. This includes bacon, eggs, sausages, and pancakes! IHOP Also offers a free breakfast and a stack of four fruity pancakes, not just on your birthday but also two additional times when you sign up for their email list. Booster Juice will give you a free regular smoothie on your birthday when you sign up for their membership email list 24 hours prior to your birthday. If you’ve registered a card online, Starbucks will give you a free birthday drink of any size or food option plus 15% off of their online store. Blenz Coffee offers a free regular sized drink on your special day when you sign up for their membership email list. Signing up for David’s Tea membership rewards program will get you a free tea upon registration and on your birthday. Aveda offers a free and mysterious birthday gift every year sent to your door when you sign up for their membership rewards program. Sephora shoppers can collect a birthday gift in store during their birthday month after they sign up for the store’s reward program. Marble Slab offers a free birthday ice cream when you sign up for their email list. Dairy Queen will give you a free Blizzard treat on your birthday when you sign up for their membership program. Tarts Bakery offers a free tartlet to the birthday person who signs up for their email list. Milestones offers those who sign up for their email list a free entree, with some conditions, on their birthday. Red Robin will give a free burger to the birthday person when they sign up for the restaurant’s email list. Steamrollers, famous for their burritos, will give a free burrito on your special day with presentation of valid ID, no strings attached. L’Abbatoir in Gastown has been known to give a free dessert to the birthday person after dinner. The Hyatt Regency’s restaurant Mosaic Bar and Grille has also been known to treat those celebrating birthdays with a healthy piece of chocolate cake. If it’s fish and chips you’re after, Pajo’s in Steveston and Port Coquitlam offer a whole free meal to those celebrating their special day after they sign up for an email list. Granted, you might not benefit from that much if you’re a winter baby. The Keg is also known for treating their birthday customers with a sweet treat on their special day. The Boathouse Restaurant offers those celebrating birthdays a free entree after they sign up for the restaurant’s membership program, with some conditions. One condition being that you must have a party of at least four people. Vancouver Theatresports League offers those who sign up for their membership program a two-for-one ticket deal for a show anytime during your birth month. Ski for free at Cypress Mountain on your birthday! All you have to do is present a valid ID at the ticket window. YYoga also offers a birthday promotion every year when you sign up for their rewards program. Be recognized on your big day! Breakfast Television will announce that it’s your special day on air after you fill out this form three days prior to your birthday. If you are celebrating a 100th birthday, you can receive a birthday greeting from The Queen of England. You can also receive congratulations from the Governor General on your 90th birthday. To see who else is waiting to congratulate you on your special day, visit this website. So what do you think? Did we get it all or are we missing some notable birthday deals? Let us know via facebook or twitter if you have some additions you’d like to see added to the list!